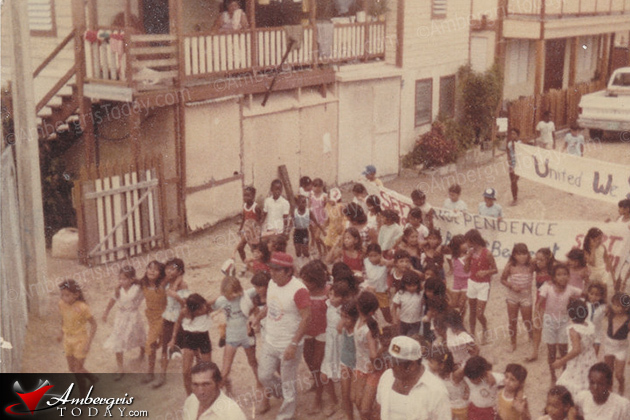 While Belize City had the biggest parade ever on September 21, 1981, San Pedro Village also celebrated with its few hundreds. The Midnight ceremony on Sept. 22 at Central Park was a huge event and by nine in the morning of September 21 the revelers were ready to show their happiness and their true colors. 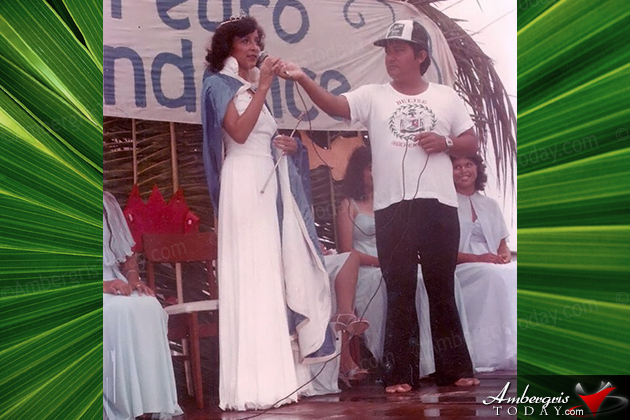 The reigning queen, Dalinda “Daly” Guerrero, Miss San Pedro 1981 who was crowned on September 10 of that year did all the honors. And then there were musicians on foot and a make shift musical group. The small stage at the town square was beautifully decorated with green palms of coconut trees. No flags, no backdrops, no glitter- only a stage to reflect a colorful event. Master of ceremonies Angel Nunez introduced the village chairman, to deliver the first Independence address. After sweating themselves around San Pedro, the revelers ended up at Central park where the school children had their treats (nothing this year) and then it was time for a beach party. There was food and drinks on sale in abundance. There were competitive games with the children and run by the school teachers and village councilors. There were, of course, the famous greasy poles both vertical and horizontal. 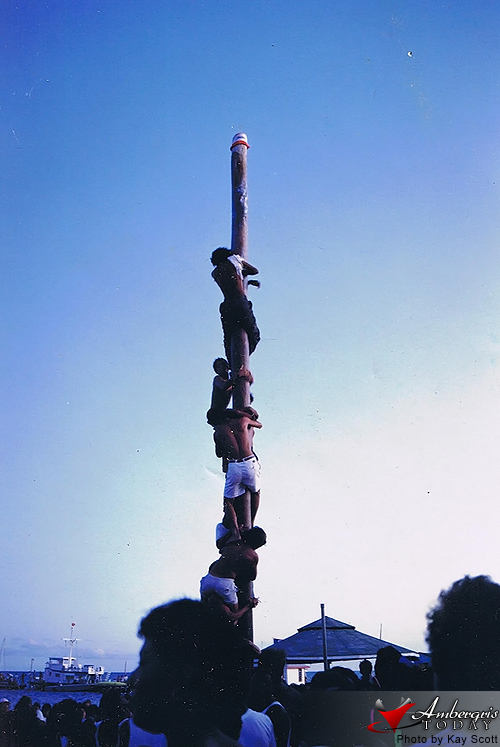 The horizontal one over the sea attracted mostly the children who were dying for a good swim in the warm midday, The vertical greasy pole attracted the older boys who were eagerly fighting to prove there veracity, tenacity, audacity, intensity and masculinity. The spectators simply applauded to give them courage especially when they were only three feet from the top and beginning to slide downwards. These fun activities went on until dusk when everyone had not had enough but were too tired to even whisper, “Que Viva La Independencia or "Que Viva San Pedro!" Thus ended the very first ever Independence Day celebration 32 years ago in San Pedro. It’s Mosquito Season in Belize!